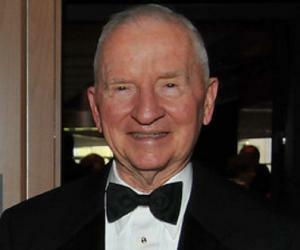 Humanitarian Work: Co-founder of ‘Gordon and Betty Moore Foundation’. 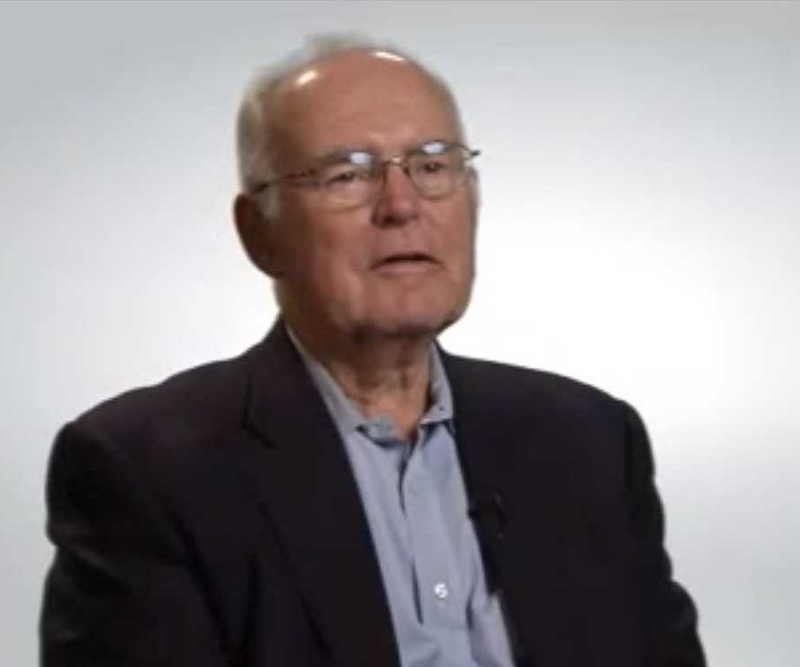 Gordon Moore, better known as the co-founder of the ‘Intel Corporation’ is presently the Chairman Emeritus of the company. He has been an instrumental figure in the world of technology and has achieved many accolades with his exceptional endeavours. He pursued studies in the discipline of chemistry and also had physics as a subject. 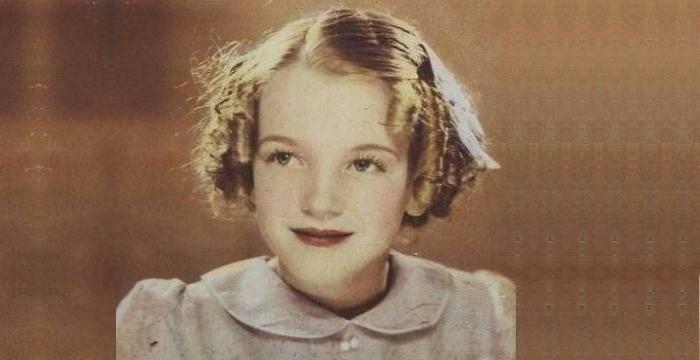 Much is not known about his childhood and early life. However, as a university student he took immense interest in research work and even gained a doctoral degree from ‘Caltech’. He worked with semiconductors when he was chosen as one among the group of eight people by physicist William Shockley. He worked with that physicist for some time but the turning point in his life was when he decided to part ways with the physicist and joined in the ‘Fairchild Semiconductor’ venture by Sherman Fairchild. His initiative to co-found the ‘Intel Corporation’ and dabble with business along with his scientific skills was a major milestone in the life of this entrepreneur. However, even before the launch of this company, he became renowned owing to his observation known as ‘Moore’s Law’. This was an important contribution which Gordon made towards the world of technology. Apart from this he is credited with many other developments which he has made through Intel, and is on the way to present the world with many more inventions. On 3rd January, 1929, Gordon Earle Moore was born in Francisco, California. Gordon completed his schooling from ‘Sequoia High School’ located in Redwood City, and then enrolled at the 'San Jose State University'. He then joined the 'University of California', Berkeley, and in 1950, he completed his B.Sc. degree in chemistry. Soon after he joined the ‘California Institute of Technology’ (Caltech) where he pursued PhD in chemistry with a minor in physics. During 1953-56, Gordon was engaged in postdoctoral research which he conducted at the ‘Applied Physics Laboratory’ of ‘John Hopkins University’ located in Baltimore. In 1954, he earned his PhD. from the ‘California Institute of Technology’ (Caltech). He collaborated with physicist William Shockley and worked with him at the ‘Shockley Semiconductor Laboratory’ which was a section of the company ‘Beckman Instruments’. However, in 1957, a group consisting eight people who were inducted into the laboratory by Shockley, parted ways with the laboratory and Moore was one of them. This group of eight talented PhD graduates were together termed as the ‘Traitorous eight’. These traitorous eight received support from the American inventor and entrepreneur Sherman Fairchild. The ‘Fairchild Semiconductor’ company was formed and these eight people were engaged in the company. Gordon was appointed as the director of the research and development (R&D) of ‘Fairchild Semiconductor’ in 1965. During the same time, he was interviewed by the magazine ‘Electronics’ and in an answer to a question regarding the future of semiconductor components, he made an observation which was popularized as the ‘Moore’s Law’. This observation was published in the ‘Electronics’ magazine on 19th April, 1965. It said ‘the number of transistors per square inch on integrated circuits had doubled every year since the integrated circuit was invented’. He also observed that the trend will continue to be the same for at least the next ten years. However, a decade later, he made some change in the observation and stated that the trend will follow every two years instead of one year. This has been a significant and has helped the semiconductor industry in a large way. 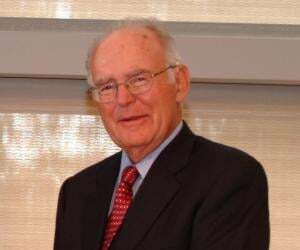 He founded the ‘NM Electronics’ in 1968, along with business personality Robert Noyce. This company later went on to become the renowned ‘Intel Corporation’. Moore held the position of Executive Vice President before he was named the President of the ‘Intel Corporation’ in 1975. From April 1979, this talented scientist served as the Chief Executive Officer of the company and held the office till 1987. He also chaired the Board of Directors of the corporation during the same time and was also a board member of the ‘Caltech’. From 1991 to 1996, he was engaged with the biotechnology company ‘Gilead Sciences’ as the member of the Business Advisory Board. He was then made one of the members of the Board of Directors of the company. In 1993, he was elected as the Chairperson of the Board of Trustees of the ‘California Institute of technology’ (Caltech). Presently, he is a life trustee of the institute. He continued to chair the Board of Directors of ‘Intel’ till 1997, and after that he was made the Chairman Emeritus of the corporation. In the year 2000, Moore and his wife Betty co-founded the organization named ‘Gordon and Betty Moore Foundation’. This organization mainly focuses on conservation of the environment. This learned personality also worked with the NGO named ‘Conservation International’ for a few years. He is a co-founder of the technology giant ‘Intel Corporation’ and has been instrumental in the various technological developments which the corporation has undertaken since its inception. However, one of his most significant contribution to the world of technology is his observation popularly known as the ‘Moore’s Law’. The law which has a phenomenal impact on miniaturization of semiconductor industry forecasted that in an integrated circuit, the number of electronic components has been increasing twice in number in every two years. In 1976, he was made a member of the ‘National Academy of Engineering’. President George H. W. Bush honoured him with the ‘National Medal of Technology and Innovation’ in 1990. He was made a Fellow of the ‘Computer History Museum’ in 1998. For his exceptional contributions towards the field of chemistry and science, he was honoured with the ‘Othmer Gold Medal’ in 2001. 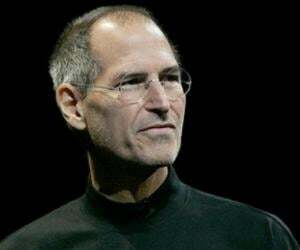 In 2002, he was bestowed with the ‘Presidential Medal of Freedom’ and the same year, he was a recipient of the ‘Bower Award’ which he won for Business Leadership. The following year, he became a Fellow of the ‘American Association for the Advancement of Science’. In 2008, he was a recipient of the ‘IEEE Medal of Honor’ and two years later he received the ‘Future Dan David Prize’ for his outstanding work in the field of telecommunications. On 9th September, 1950, Gordon married Betty Whitaker and the couple is blessed with two children named Steve Moore and Kenneth Moore. He has been involved in many philanthropic works and has provided huge donations to many organizations such as ‘Caltech’ and ‘University of California’. The second largest optical telescope of the world named ‘Thirty Meter Telescope’ was built with the donation provided by this distinguished scientist. He has been involved in environmental conservation projects and in 2002 he was bestowed with the ‘Order of the Golden Ark’ by Prince Bernhard of Lippe-Biesterfeld for his contributions towards the conservation of the environment. He shared this honour with Claude Gascon, who is the Senior Vice President of the NGO ‘Conservation International’. Many institutions like ‘The Electrochemical Society’ and the ‘Society of Chemical Industry’ present awards and medals in the name of this celebrated scientist. According to ‘Forbes’ this famous entrepreneur has a net worth of 6.8 billion as of June 2015. The ‘Personal Genome Machine Platform’ of the ‘Ion Torrent’ sequenced Moore’s genome which was the first human genome sequenced in the platform.